Facebook is a regular subject of controversies connected to the use of data shared by its users – in 2013, for example, after the revelations of Edward Snowden, or more recently with the Cambridge Analytica affair. As a consequence, the company has been trying its best to polish its image and reassure both the public and institutions. To this end, it has formed a network to amplify its influence in Washington as well as in Brussels. On both sides of the Atlantic, Mark Zuckerberg’s company has been intensifying its lobbying activity. 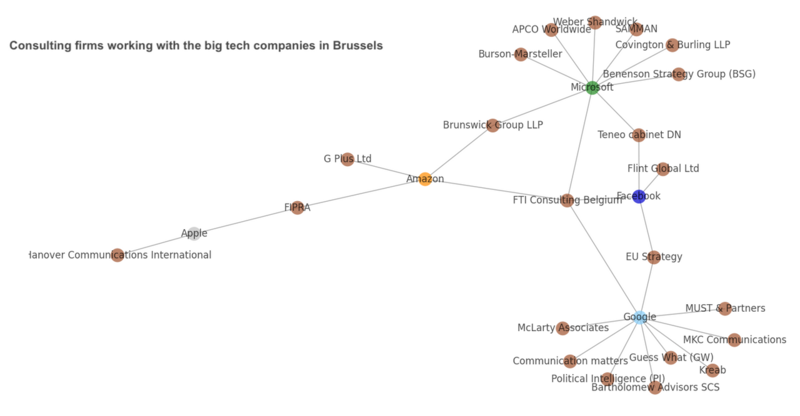 In Europe, Facebook has made efforts to become one of the most active lobbying groups within European institutions, following the examples of Microsoft and Google – two other members of the infamous GAFAM group (Google-Amazon-Facebook-Apple-Microsoft), who are among the ten biggest spenders in this arena. Facebook’s efforts in Brussels were initially rather timid. In 2012, when it first entered the EU’s transparency register, Facebook declared two employees at work in European institutions, and lobbying expenses amounting to between 400,000 and 450,000 euros. Little by little the company cut a stronger figure, increasing spending and the number of its collaborators. Caught up in the Cambridge Analytica scandal, Facebook has been called upon to explain how it can to protect the private lives and data of its users. The European Commission has demanded a response from the company, and Zuckerberg will soon testify before US Congress. In the meantime, Facebook has responded by further increasing its presence in Washington and listing twelve job openings for lobbyists based in the American capital.